Often after a breakup there’s considerable hurt and disappointment to process as well as the many practical considerations that require attention. Some people say they feel a failure; they never envisaged that their relationship would end in divorce. They may feel partly to blame or that they are letting down family, friends. In addition it may be a massive struggle to come to terms with the various upsetting things that have been said and done. Time often eases the hurt, enables the rawness to subside, and eventually some people do succeed in having an amiable enough relationship with their ex. This is especially important if children are part of the equation. It may have been that a couple initially got together when they were young and didn’t know what they wanted or fully appreciate what was expected from a long-term relationship. Then there may have been massive readjustment at leaving work to become a stay-at-home parent or juggling the responsibilities of becoming the major breadwinner. This can be overwhelming and introduce unexpected, ongoing stress and pressure into a relationship. Relationship counselling can be helpful in managing the negative emotions, conflict and potential breakup of a relationship. Two people are often in very different places emotionally, especially when a relationship is falling apart. It may be that one person perceives the other as being unreasonable or over-reactive. Relationship counselling can help both parties listen, appreciate and understand each other’s point of view. Counselling can help improve communications by providing a neutral, safe, supportive environment. Some people have even been known to reconcile as a direct consequence of their improved understanding of each other through relationship counselling. If that’s not going to happen then successfully managing a breakup and staying friends with your ex can include addressing your own ‘demons’. Learning from what went wrong is an important part of the healing process. If one part of a couple comes from a difficult background where they, for example, witnessed an acrimonious divorce or experienced harsh treatment like bullying, abuse or betrayal, they may be especially sensitive to any hint of rejection or feeling disrespected. Their partner may not understand why they are so sensitive or defensive. Personal counselling can be an important part of your individual recovery and help you avoid repeating negative patterns in any future relationships. Collaborative law is often regarded as the humane way to divorce, but both parties have to be committed to the process. Sitting around a table with various experts, financial advisers, counsellors and lawyers can enable proceedings to work smoothly and avoid the need for expensive or contentious court hearings. Both parties have to agree to each stage of the process and it works by treating them both with a ‘we don’t want to be together but let’s separate with mutual respect and dignity’ approach. Collaborative divorce supports future communication and co-operation, especially when children are involved. It’s important not to forget that your ex probably knows you better than anyone else. They know, or certainly knew about your day-to-day fears, issues, concerns and have shared and hopefully supported you throughout those times. You used to love each other, laugh together, share your hopes and dreams, were made to feel special; you planned on being together forever. When a split occurs it means the end of that intimate day-to-day relationship, but reflecting on elements of your shared history and connectivity may be possible and enable you to remain friends, if not lovers. It’s not uncommon to find some couples who actually get on better after their divorce. The day-to-day arguments, niggles and irritations have been removed as they resume being two separate, independent individuals. Some people even find that they rediscover their original attraction once the pressure of living together has been relieved. Their familiar shared history and connection can be a powerful magnet. After understanding and talking through the underlying reasons for the split it may be possible to start again and build a stronger relationship than before. It’s important though to take time to reflect, discuss and address what went wrong. Time apart can enable both of you to become independent and clearer about what’s right for you, what you need and don’t need from a relationship. These insights may support you becoming friends again, perhaps on a different, more relevant footing for the future. 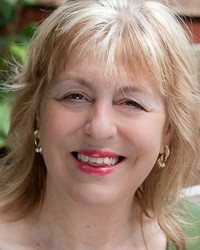 Susan Leigh is a Counsellor and Hypnotherapist who works with stressed individuals to promote confidence and self belief, with couples experiencing relationship difficulties to improve communications and understanding and with business clients to support the health and motivation levels of individuals and teams.